The regs are available to view in the downloads section but here is some info to get you started. 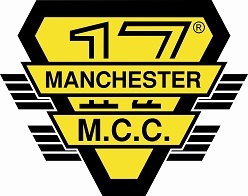 I want to thank Parkwood off road centre for allowing us to use the venue and a huge thank you to all the Manchester 17 club members, friends and families who gave up their time to help out on the running of the event, without this help we could not run a event. Please remember we are a club operating for the benefit of its members and of the off road motorcycling community, any help in the running of events is always welcome. We hope to see you at our open moorland event "The Brinks enduro" in August, one of the largest entry hare and hound events in the uk, a massive lap which is never under 10 miles in length and suitable for novice riders. Catch you all soon !!! Information to help your day go smoothly, please read. Click the read button now!